April 15th 2019 - Today the three mainland Chapters of the Section went head to head in the 28th Annual Nelson Cup matches supported by Linksoul and New Balance Golf at Parkland Golf and Country Club. 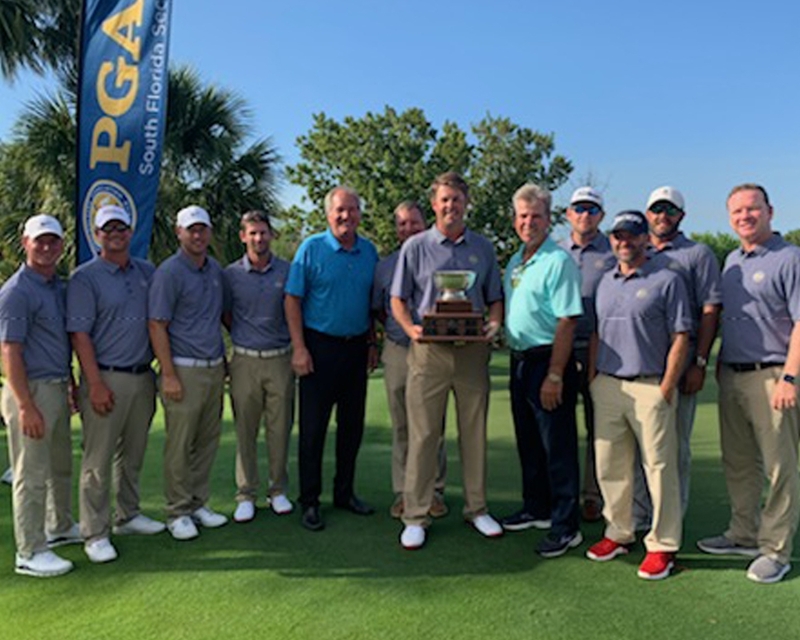 Earning 68 points to capture the title was the team from the Southwest Chapter comprised of PGA Professionals: JC Anderson, Justin Bertsch, Brett Blackburn, Jordan Burke, Andrew Filbert, David Guy, Justin McCarraher, Dennis Meyer, Adam Miller, Chris Shultis, Justin Smith and Aaron Sustad. This victory marked the Southwest's first since 2015. The Southeast Capture team finished just behind with 65 points, breaking their three year winning streak, and the Southern Chapter earned 26.5 points. The Nelson Cup matches are an annual tradition where each team competes in two 18 hole matches, alternate shot format in the morning and singles matches in the afternoon. We congratulate each team on their play!